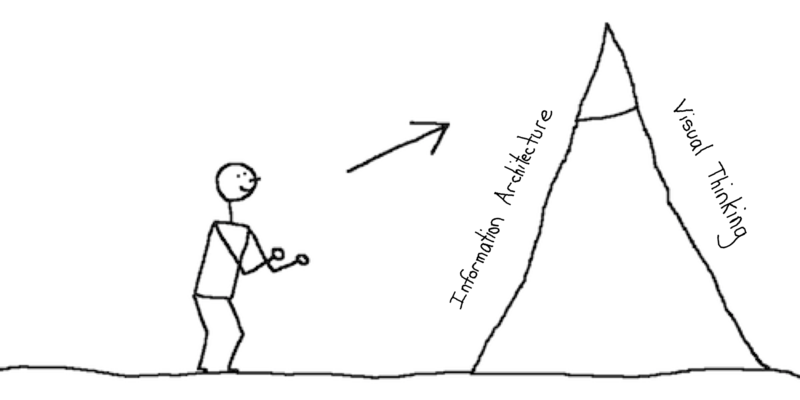 I'm convinced there's buried treasure where information architecture meets visual thinking. I had fun collaborating with Jeff to create maps and illustrations for the butterfly book, but I still don't feel like I'm there yet. That's why I'm so excited by this year's IA Summit. In the realm of visual thinking, it's hard to beat a program that includes Dan Roam, Dave Gray, Dan Willis, Richard Saul Wurman, and Kevin Cheng. See you at the summit! After reading an advance copy (thanks Dave! 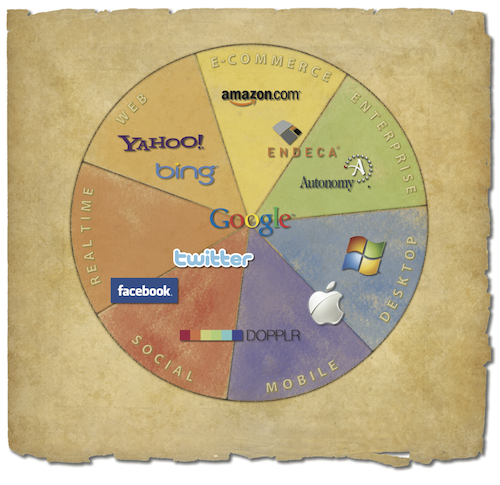 ), I highly recommend Gamestorming by Dave Gray, Sunni Brown, and James Macanufo. Mac Slocum interviewed me about the Web's fun and wicked problem. If you can make it to Ann Arbor, please join us at our butterfly book launch party. Check out the original email invite (below) designed by Q LTD for details. Space is limited, so please let us know if you'll be coming. And, if you can't attend, you can still enter the book raffle. Cheers! 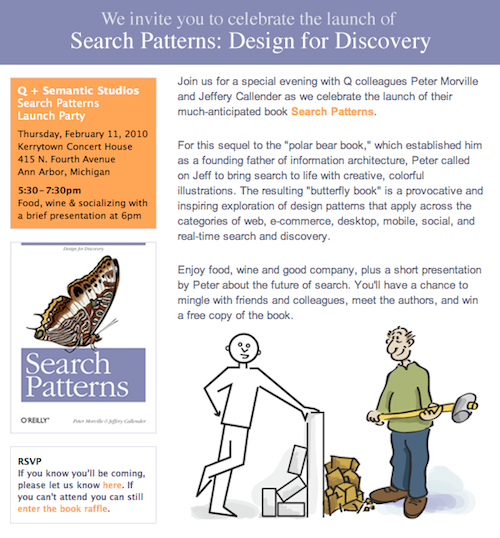 Yesterday, to celebrate the publication of our new “butterfly book” about search and discovery, we launched searchpatterns.org. It serves as a gateway to the Search Pattern Library on Flickr, our colorful collection of examples, patterns, and anti-patterns. 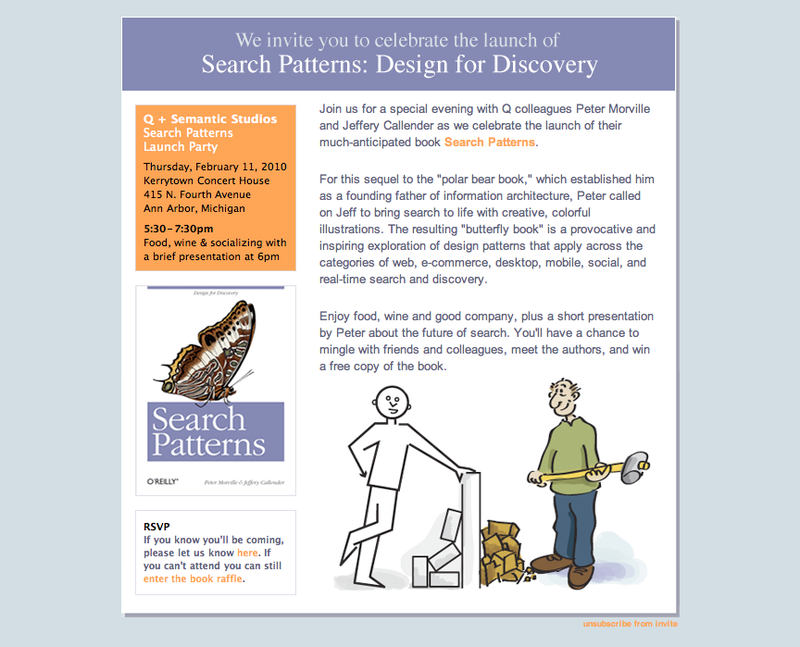 And, it features all the illustrations from Search Patterns, released under a Creative Commons license, so you can use them in your publications and presentations. As we explain in Chapter One (PDF), we created our book and pattern library for a reason. We want to make search better. Or, to be more precise, we want to inspire you to make search better. So, please take a look, spread the word, and help us to make search better. I'll be giving away butterfly books at Interaction 10 in Savannah this week. If you're interested in playing, follow me on Twitter.